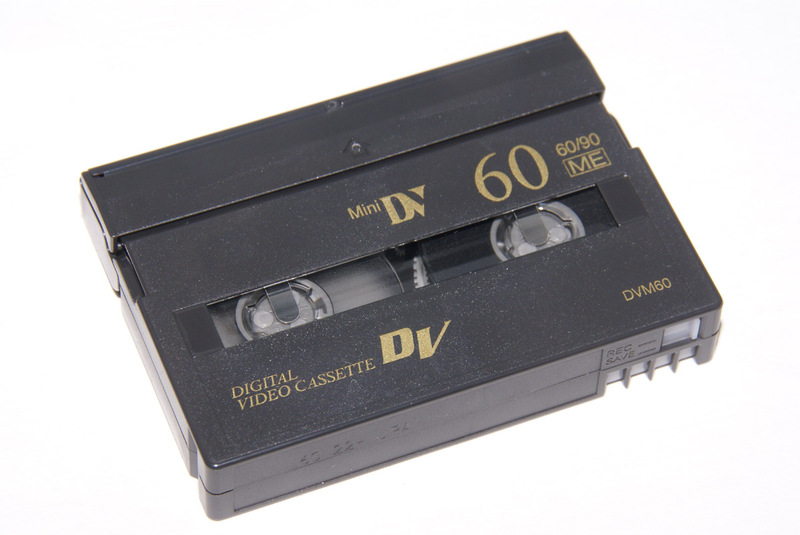 Even though miniDV is oftentimes mocked or associated for its lack of picture quality (DV uses lossy compression for video, while the audio is stored uncompressed), DV was highly prominent and commercially favored because it had a comparably better image quality than the contemporaneous Hi8 or Video8 formats. MiniDV was broadly used by artists, community organizers, independent media productions, and non-profits. Its extensive use gave way to the mass popularization of non-linear editing (NLE) systems, such as Final Cut Pro, Adobe Premiere, and Avid Media Composer, which have become and continue to be, benchmark software for editing media. Hi there! I’m a miniDV cassette. The tapes we’re working on here capture a variety of activities, including the One World, One Health Congress in Brazil (2007), an interdisciplinary forum for animal and human health care and environmental science, the AHEAD (Animal Health for the Environment And Development) Forum, and video recordings of WCS’ Veterinarian programs on the field. 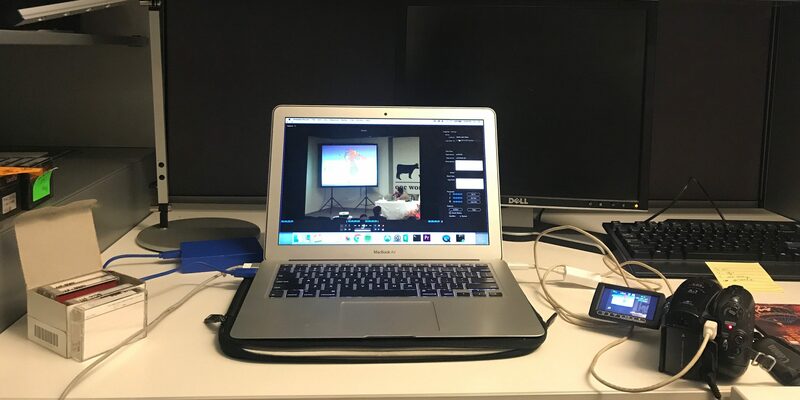 When the video is captured onto a computer, it is stored as a raw DV stream that we later wrap into a Quicktime container file. Although, Quicktime is a proprietary codec, it is still widely used. This way, we ensure that we retain the original metadata gathered from the source tape, wrapped in a format that can be reproduced in virtually any contemporary video player. After transferring our tapes, naming them according to our file-naming convention, we checksum them using hashdeep, a program that will “compute, match, and audit hash sets”, and off they’ll go into storage. We’ve also been using Archivematica’s appraisal tab for the first time. The appraisal tab is a new addition to Archivematica 1.6. Its development, captured in great detail in this blog, was coordinated with University of Michigan’s Bentley Historical Library by way of a Mellon grant sponsorship. The appraisal tab allows for the archivist to decide, mid-way through transfer, which files become part of the SIP and how they are arranged. It also allows the archivist to preview files, list the number of file formats by their PRONOM PUID (Persistent Unique Identifier), lets you visualize file formats in a tasty pie chart, search for PII (Personal Identifiable Information) and credit card numbers (using Bulk Extractor) and apply tags to objects. 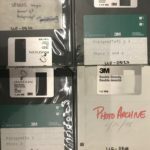 In addition to all of this sweet-sounding appraisal business, the tab includes an ArchivesSpace pane which allows an archivist to connect the digital content processed on Archivematica to an ArchivesSpace finding aid. Here at the archives, we were in the process of migrating our Archivists’ Toolkit finding aids to ArchivesSpace, so this feature is very much welcomed, and exciting in terms of what we can now include in our finding aids (now with an item-level digital object!). Software cannot preserve anything. Software cannot be a repository in itself. A repository is the sum of financial resources, hardware, staff time, and ongoing implementation of policies and planning to ensure long-term access to content. Next time I’m in the weeds, feeling conscience stricken that I’ve spent 3 hours trying to figure out the cause of that nagging normalization error, I’ll remember this, as it is part of the process and, ultimately familiarizes yourself with your system components. 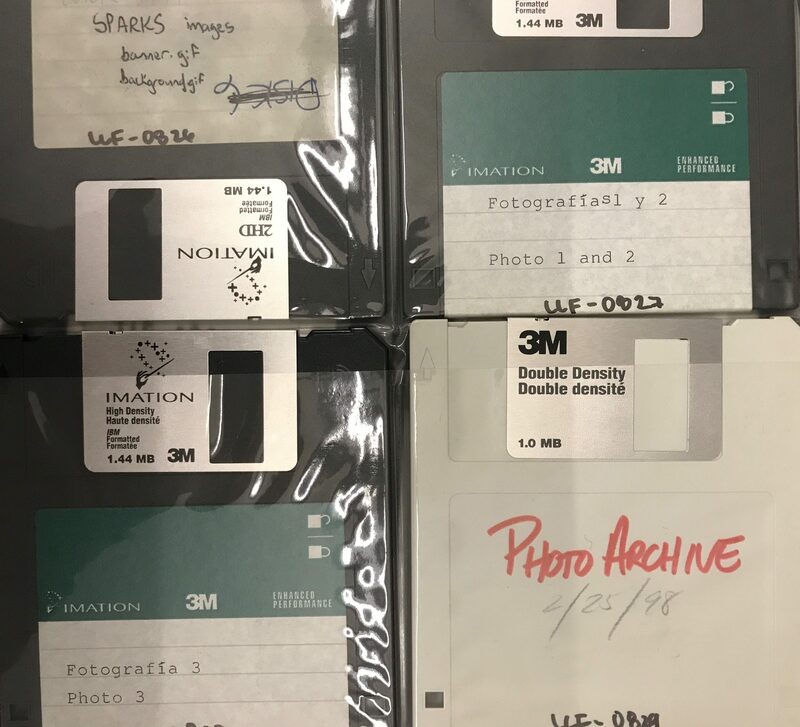 On our next blog post, we’ll discuss the changes we’ve made to our FPR, working with HFS formatted disk images, and finally entering the production phase of our project! It’s a delight to know those tapes are finally getting transferred. My sincerest apologies in advance for any typos I may have put on the labels. Making those labels (and frankly working off of miniDV) was a constant headache for me so i blame the format!